Shop 130,000 products online from over 1,500 designer and everyday brands. Booking.com is the world leader in online accommodation booking. Shop online and pick it up chilled in 1 hour, plus receive Cashback. Note: Purchases made via the Amazon App will not be eligible for Cashback. Chemist Warehouse is the largest pharmacy retailer in Australia! Pick up in store or delivered. 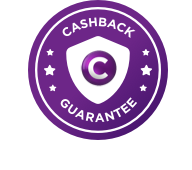 Save even more with Cashback! Redeem at Woolworths, Dan Murphy's, BIG W, BWS, Caltex Woolworths & more! The Book Depository is the world’s largest online bookseller. Welcome to MATCHESFASHION, the go-to destination for luxury fashion. Check out Vodafone's range of mobile phones and mobile broadband modems.